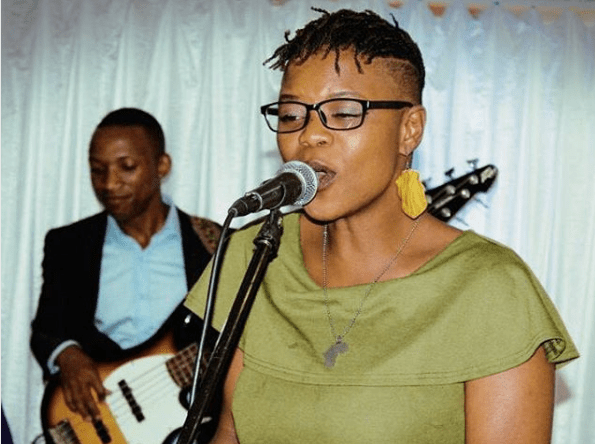 Popular urban grooves musician and ex-wife to music bad boy, Roki, Pauline Gundidza has dragged actor Tafadzwa Muzondo to court accusing him of s_xually molesting her. Pauline accuses Muzondo of fon_dling her bre_asts and kissing her without her consent. Muzondo recently appeared at the Mbare Magistrates’ Court facing allegations of indecent assault. Appearing before Magistrate Stanford Mambanje, Muzondo pleaded not guilty. He was granted $100 bail and ordered to return to court for trial on the 16th of April. According to local publication H-Metro, the incident happened on the 23rd of March in Highfield after Pauline attended an album launch at Action Hub Studios where she was one of the guests. At the end of the function, Muzondo is alleged to have approached Pauline while she was waiting for transport with her friends. According to the state, Muzondo lasciviously told Pauline that her br_asts are beautiful. This did not go down well with Pauline who checked with her friends if she had heard Muzondo correctly. While she was doing so, the actor alleged leaned into her and fn_dled her br_asts before abruptly leaving. However, he returned later and apologised for his earlier actions but escalated the situation by kissing the songbird, who filed a police report against him.